Suddenly, a blizzard of truth from Republicans. Sam Goldwyn Awards* for all three. Everybody in politics knows that federal spending is unsustainable: ending earmarks, eliminating waste, cutting non-defense discretionary spending won’t make more difference than baling out a sinking ship with a teacup. Drastic action is called for. 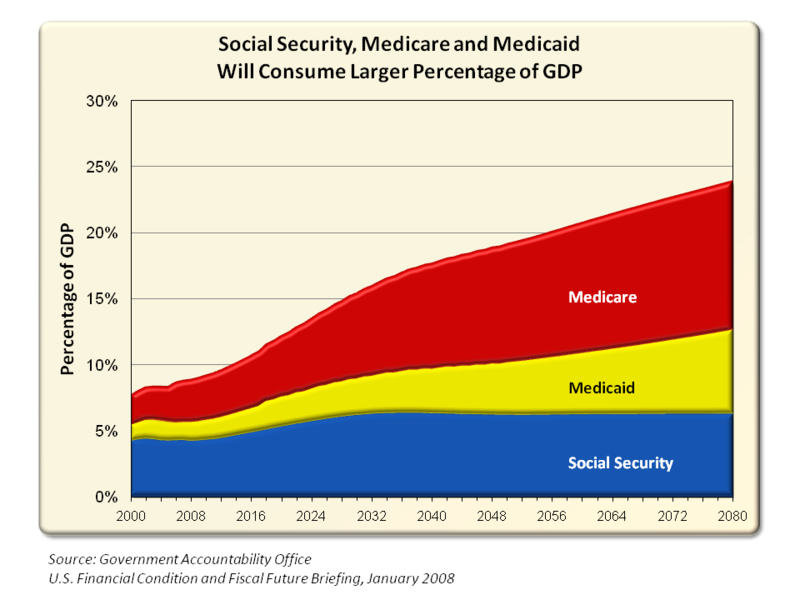 Medicare, Medicaid, and Social Security have to be cut back or they’ll bankrupt the nation. Now come three prominent Republicans to speak truth to power—to the voting public.